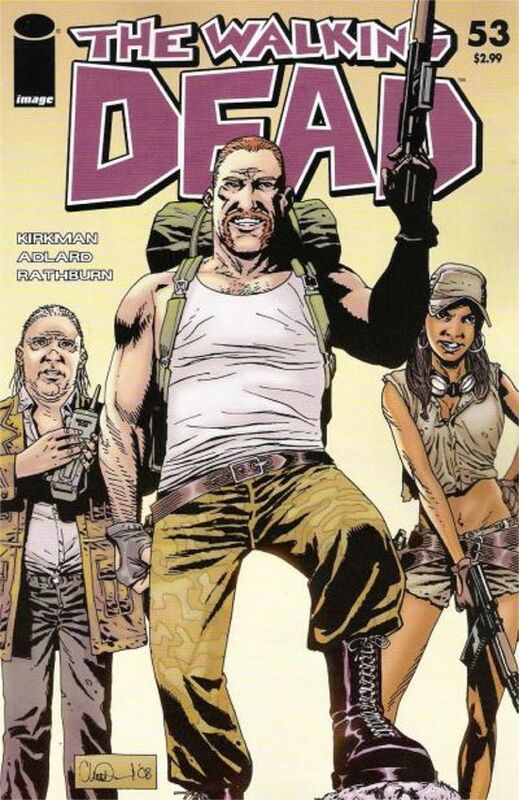 Readers of The Walking Dead comic book might have noticed something a little familiar about the scene in the “Inmates” episode where Abraham, Rosita, and Eugene were introduced. The trio were posed in an almost exact recreation of the cover of The Walking Dead issue #53. 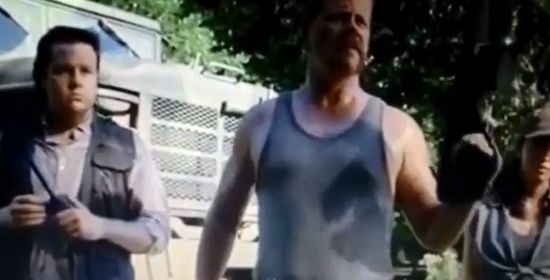 During the Talking Dead, it was discussed that the Abraham scene was purposefully done to match The Walking Dead #53 cover.